One year after 16-year-old Jaelynn Willey was fatally shot at Great Mills High School in St. Mary's County, school leaders are taking steps to provide for the mental and emotional health of their students. 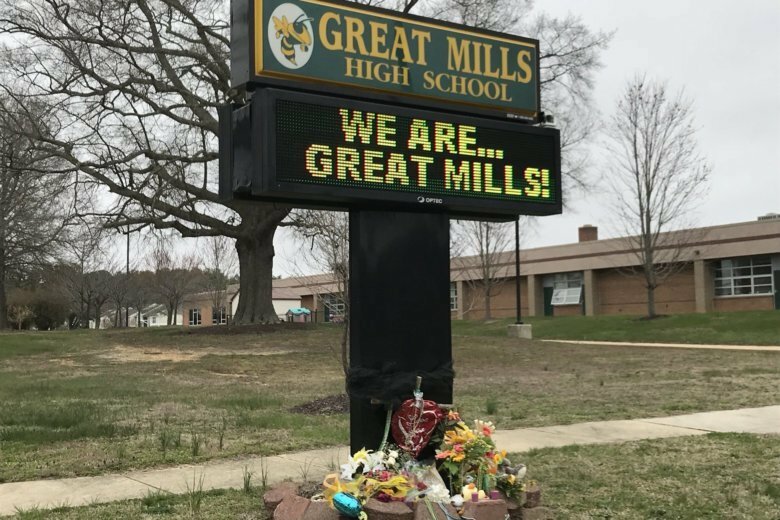 Wednesday marks one year since a deadly school shooting at Great Mills High School in Maryland’s St. Mary’s County, and school leaders are taking numerous steps to help students and employees cope. “We purposefully use the phrase ‘one-year mark’ as we are referencing a tragic time in our school’s history, not celebrating the anniversary of that day,” Principal Jake Heibel wrote in a letter to parents, referring to the day 16-year-old Jaelynn Willey was shot at Great Mills High and later died of her injuries. “A staff and student advisory committee worked with me to craft a plan to address the needs of our school community who are in various phases of the recovery process. As we continue to heal, support services remain in place to assist,” he added. A separate letter to parents detailed signs that a student may be struggling emotionally, and what parents can do to help. On Wednesday, Heibel will lead a moment of reflection at the start of the school day, and a moment of closure at the end. Classes will end two hours early at 12:45 p.m.
Special activities will be offered to students during lunch, including poster and memory book writing. After school, students may join an optional rock painting activity. At 7 p.m. Friday, all are welcome at a Vigil of Remembrance to be held at nearby Chancellor’s Run Regional Park. Counselors are on hand all week, and comfort dogs will be available for cuddles through Thursday. The gun violence prevention group March For Our Lives is urging people to wear teal Wednesday to honor the life of Jaelynn Willey, who died a few days after being shot at Great Mills High School. The group was founded by students and alumni of Marjory Stoneman Douglas High School in Parkland, Florida, where another school shooting last year left 17 people dead.